The Pfister Collection of bathroom products combines high style with a very reasonable price point. Along with their dedication to style and function, they offer the Pfister Lifetime Warranty to all accessories. Superior design and great value...that's what Pfirst Series is all about. Pfister Pfirst Roman Tub Rough-In Valve comes with a fixed underbody and includes reversible hot or cold valves. 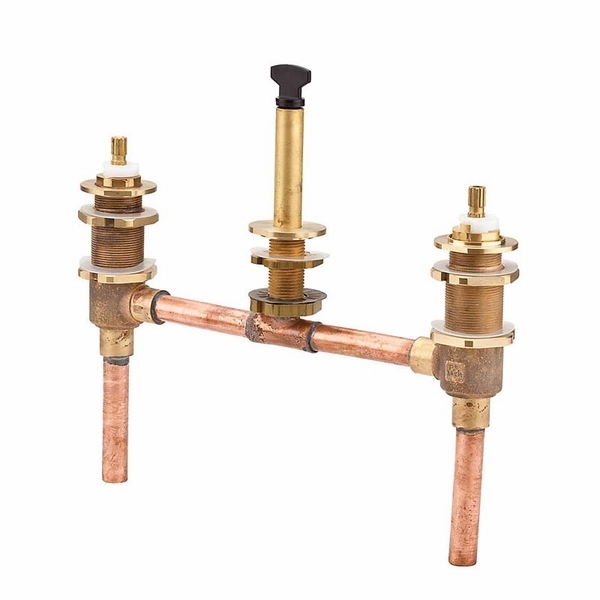 This Pfister Pfirst Roman Bathtub Rough-In Valve has a 3-hole installation, for a simple and easy install. Create the room of your dreams with the fine finishes that enhance the look of any space. Trust in the name Pfister.